The region is known for its rich 19th-century pioneer heritage, which is preserved throughout many historic districts, national heritage sites, and quaint Midwestern town main streets. Plan a weekend trip to Kansas City where you can visit museums, admire fragrant gardens and watch a show at the outdoor theater. 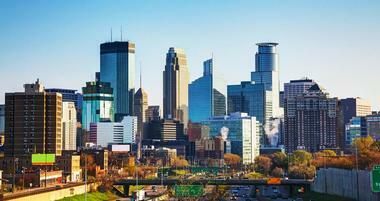 Whether you are planning a romantic getaway or a family trip, Minneapolis offers a diverse choice of things to see and do. Nestled along the shores of Ohio’s magnificent Lake Erie, Geneva-on-the-Lake is a relatively small village in Ashtabula County. 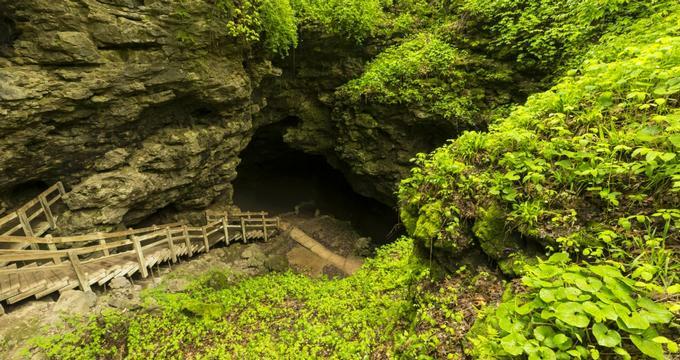 Whether you are looking for a laidback cruise through an underwater cave where the boat does all of the work, or a true spelunking challenge for an experienced caver, Iowa’s caves have something to offer everyone. Visit the Mitchell Park Horticultural Conservatory, the Historic Third Ward, Discovery World and other great attractions on your weekend trip to Milwaukee, Wisconsin. 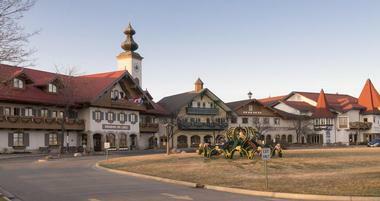 Whether it's a fun day out with the family or a weekend getaway with friends, Frankenmuth is the perfect destination to relax and try new adventures. 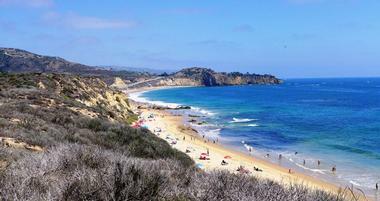 Travelers can get a taste of history by visiting the state's history parks and natural areas. Sandusky, Ohio, located on Sandusky Bay, has more than 22 miles of shoreline within the city limits in addition to beautifully landscaped parks, historical architecture, and many tourist attractions. From scenic lake vacations to mountain getaways, the Midwestern United States is a beautiful part of the country to explore with kids, on a honeymoon or a romantic trip. Plan a vacation to Chicago, Minneapolis, Cincinnati or one of the other major cities in the Midwest where you will find an array of museums, restaurants, shopping and events. Or explore a quiet town, check into a world-class spa and play golf. Bloomington, Indiana is a great place to visit with the whole family or solo thanks to the many educational and cultural attractions in the city. For families traveling with children, the WonderLab Museum of Science, Health and Technology is a must-see thanks to the hands-on exhibits that encourage young minds to explore science and technology. Monroe Lake on the other hand, a 10,750 acre reservoir in the heart of over 20,000 acres of protected wilderness, is a great place for fishing or water sports with the kids. Shop for souvenirs or enjoy live music entertainment with the whole family while browsing the stalls of over 40 vendors at the Bloomington Community Farmers Market. To enjoy a culturally immersive experience, head to the Indiana University Art Museum, the foremost university art museum in the country and home to an internationally acclaimed collection that includes works by Claude Monet and Pablo Picasso. The Tibetan Mongolian Buddhist Cultural Center is another must-see destination where visitors can learn about the ancient culture of Buddhism in the oldest and largest center for Buddhists in the country. Soak up some history at the Wylie House Museum, home to the first president of Indiana University, Andrew Wylie, or learn about the history of Indiana University while exploring its amazing campus at the Indiana University Tours. If you are looking for fall Midwest getaways, Bloomington is a great place to explore. 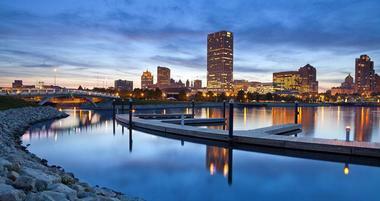 Visit the second largest city in Michigan, Grand Rapids, for a spectacular and memorable vacation. It all begins with a unique and one-of-a-kind tour aboard the Great Lakes Pub Cruiser, a 15-seater party bike that takes its participants to some of the best spots in town for food and drinks. Be sure to spend a few hours at the 158 acre campus of the Frederik Meijer Gardens and Sculpture Park, which boasts an internationally acclaimed collection of pieces by world famous sculptors like Henry Moore and Auguste Rodin. For an enjoyable hike and to learn about Grand Rapids’ native plants and animals, visit the Calvin College Ecosystem Preserve, or participate in the interactive programs of the Blandford Nature Center to reconnect with nature. Not to be missed is the vibrant museum scene of Grand Rapids. Founded in 1854, the Grand Rapids Public Museum has 250,000 artifacts displayed within three floors and segregated between three permanent exhibits - the science, history and culture exhibits. The Grand Rapids Art Museum, on the other hand, is the only museum to be certified LEED Gold for its environmentally friendly design and special collections of 19th to 20th century American and European Art. Last but not the least is the Grand Rapids Children’s Museum which promotes interactive learning in 18 permanent exhibits, a farm, tree house and puppet stage. Situated in the northwest of Ohio, Toledo is a vibrant lake-side city with plenty to see and do. One of the most popular places to see in the city is the Toledo Botanical Garden. Open to the public and free of charge to enter, it is the only botanical garden in the area and features several themed gardens and gorgeous sculptures. To enjoy more of Toledo’s nature, head to the largest park in the area, the Oak Openings Preserve, where bird watching is at its finest and scout camping is a popular past time. Get up close to animals at the Toledo Zoo wherein the most popular exhibits are the Kingdom of the Apes, Cheetah Valley, Arctic Encounter and the Tiger Terrace. Walk through the halls of a Georgian Colonial home and enjoy tea in the Solarium at the Wildwood Manor House. Examine the famous Toledo Museum of Art and view its popular collection of 19th to 20th century glass art before heading to its sculpture garden for a relaxing stroll. To watch 80 professional musicians perform exceptional pieces, head to the Toledo Symphony Orchestra. Got an interest in math and the sciences? Visit the Imagination Station for over 300 interactive exhibits for children and adults alike or tour the best of Toledo’s food and drink establishments for the best cuisine the city has to offer. A culturally diverse city with world-class attractions, Cleveland is bound to be enjoyable for families, couples and groups of friends traveling together. If you are looking for romantic getaways in the Midwest, Cleveland won't disappoint. Soak up the history of the city at the University Circle, a famous urban district where beautifully restored 19th century mansions can be found along the charming side-streets. A peace garden and living monument to the history of 20th century America, the Cleveland Cultural Gardens is a must-see, while visitors can honor the 20th president of the United States at his final resting place at the James A. Garfield Monument. Embark on a fun-filled alfresco night out in town at Little Italy or browse the offerings of over 100 vendors at the West Side Market. There’s no shortage of museums in Cleveland and one of the most distinguished cultural institutions in the country, the Cleveland Museum of Art, can be explored here. Challenge your understanding of modern art at the Museum of Contemporary Art, or engage and inspire yourself with the full power of awesome music at the Rock and Roll Hall of Fame Museum. History buffs will love a visit to the International Women’s Air and Space Museum, which celebrates the accomplishment of women in aviation and space exploration, while animal lovers are sure to be in awe of the massive 230,000 gallon tank of the Greater Cleveland Aquarium. Looking for a quick weekend getaway? 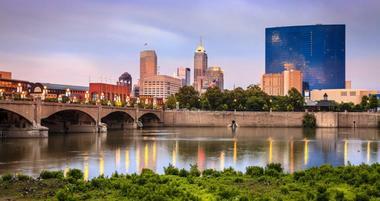 Take a trip to the fourth largest city in Indiana for a unique Midwestern experience. Take an evening stroll at River Lights, a collection of interactive light sculptures that change in color every time someone passes by, or take a 45 minute tour of the South Bend Chocolate Factory and Museum, a 60,000 square foot chocolate factory. For Whiskey lovers, a trip to the Indiana Whiskey Company is a must-do as it offers tours of the distillery, founded by war veteran Charles Florance, and offers samples for tasting. Great shows and concerts can be caught at the Morris Performing Arts Center, but for sport’s fanatics, head to the Notre Dame Stadium to catch an action packed football game. South Bend is also home to fantastic museums like the South Bend Museum of Art, which was founded in 1947 and features a collection of work by local and regional artists. Inside the University of Notre Dame, the Snite Museum of Art focuses on Western art with a particularly gorgeous collection of Renaissance paintings and Mesoamerican art. Better yet, families with young children should pay a visit to the HealthWorks! Kid’s Museum for a fun-filled lesson on health and fitness plus access to a mini-climbing wall, indoor playground and more. Make sure to drop by the East Race Waterway as well for an adrenaline pumping white water rafting adventure. Along the banks of the Illinois River, Peoria is a historic city with many attractions for tourists to see and enjoy. Perhaps one of the most curious attractions of the city is the Spirit of Peoria, an authentic 170-foot paddlewheel boat that offers day cruises along the Illinois and Mississippi Rivers. Tour the idyllic river front of Peoria on a segway with World On Wheels or head to the Luthy Botanical Garden to explore the all season, herb, perennial and rose gardens of this 4.5 acre conservatory. Hiking, jogging and bicycling can be enjoyed on the seven miles of trails spanning through open prairies and forested woodland at the Forest Park Nature Center, a 540 acre nature center and preserve. Learn all about the history of Caterpillar, the brainchild of Benjamin Holt, manufacturer of world-famous tractors and construction equipment at the Caterpillar Visitors Center, or head to the Peoria Riverfront Museum to have some interactive fun at the art and science museum’s planetarium and sculpture museum. For families traveling with children, fun activities and family workshops can be enjoyed at the Peoria PlayHouse Children’s Museum or at the Peoria Zoo, a home to African, Australian and Asian animals that originally opened in the 1800s. More weekend trips from Chicago and romantic getaways in Illinois. A trip to Wichita, the largest city in the great state of Kansas, is bound to be one full of great experiences and memories. Engage with natural landscapes while experiencing prairie life at its finest in the 1915 Frank Lloyd Wright’s Allen House. Those curious about Native American history will love a visit to the Mid-American All-Indian Center, a center dedicated to celebrating the history and culture of Native Americans through original tribe artifacts. The largest and oldest open air history museums in the Midwest is the Old Cowtown Museum, which features over 50 historic and recreated buildings from the 1860s. Other museums not to be missed are the Wichita Art Museum, the Wichita Sedgwick County Historical Museum and the Museum of World Treasures. Arguably one of the most famous attractions in Wichita is the Sedgwick County Zoo, known around the globe for its success in breeding rare and endangered animals. More of nature is waiting at the Great Plains Nature Center where visitors can learn about the plant and animal life of the Great Plains Region at this indoor and outdoor nature preserve. Sporty tourists can put their strength to the test on several 38 foot climbing walls at the Bliss Bouldering and Climbing Complex while curious minds are sure to engage in a trip to Exploration Place’s tornado and flight simulators. Head to Jasper, Indiana, the county seat of Dubois County, for a pleasurable vacation full of historical sights. Start your trip into history at one of the oldest sites in town, the Jasper City Mill. Built in 1817, the mill was once visited by a young Abraham Lincoln in 1828 when he and his father arrived to grind their grain. The St. Joseph Catholic Church, founded in 1837 by a Croatian missionary priest, is a glorious sight to behold with its Romanesque Revival-style and a 235 foot bell tower and steeple. Fans of the old American railroad will love exploring the restored passenger trains from the 1940s and 1920s at the Spirit of Jasper Train. Baseball lovers and fanatics can pass time at the Indiana Baseball Hall of Fame. Founded in 1979, the Hall of Fame houses hundreds of artifacts and baseball memorabilia throughout the ages. Visit the Dubois County Museum, the largest county museum in Indiana, for an authentic look into the history of Dubois County. The museum features a reconstruction of Main Street from the 1890s, a model train and a log house that was built in the 1850s. Before heading back home, swing by the Jasper Gift Basket and Popcorn Company and choose from nearly 100 flavors of gourmet popcorn and other treats such as artisan chocolates, turtle drops and sea-salt caramels. Romantic cabin getaways in the Midwest: Alger Falls Motel and Rental Cabins. Revel in a relaxing weekend getaway or a weeklong vacation at Iowa’s beautiful capital, Des Moines. Rich in knowledge enriching sites, Des Moines is home to the World Food Prize Hall of Laureates, a museum and educational center dedicated to Nobel Prize Winner Norman Borlaug and his efforts to fight hunger and establish global food security. Visitors can also step into a six-story IMAX theater at the Science Center of Iowa after exploring the educational labs and galleries it has to offer. Learn more about conservation at the Blank Park Zoo, the only accredited zoo in the state, and visit its featured exhibits such as the Free Range Aviary and the Meredith Alpine Exhibit. Meanwhile, museum lovers can visit the Des Moines Art Center to admire works by Matisse, O’Keefe, Rodin and Monet or visit the Pappajohn Sculpture Park to gaze at over 20 sculptures made by notable artists. Tourists looking for a taste of history can explore the capitol building and its grounds for free at the Capitol Tour while Terra Hill offers a first-hand look inside the official residence of the Governor of Iowa, which was deemed a U.S. National Historic Landmark in 2003. The East Village, home to the Hohberger and Municipal Buildings to name a few, is another historical gem having been listed on the U.S. National Register for Historic Places. A relatively small but scenic town, Branson offers incredible tourist experiences in the southwest region of Missouri. If you are looking for honeymoon destinations in Missouri, be sure to consider this charming town. One of the most popular destinations in the city is the Titanic Museum, a two-story museum that was built to be roughly half of the original ship’s size and offers an authentic experience aboard the famed vessel’s 1912 voyage. Branson is also home to the World’s Largest Toy Museum which has a colossal collection of over one million toys to discover. Another extremely popular and equally unique spot in the city is the Butterfly Palace and Rainforest Adventure, a butterfly conservatory that features a walk-through butterfly exhibit with over 1,000 tropical butterflies. Other unique experiences offered in Branson include the Shepherd of the Hills Hatchery, the largest trout rearing facility established by the Department of Conservations. Visitors to the hatchery can learn all about aquatic life while participating in activities like hiking, trout fishing and more. Don’t forget to explore the stunning natural wonders that Branson has to offer like the Table Rock State Park which features a great, easy-to-navigate bike trail, or Marvel Cave, one of the largest cave entry rooms in North America that was discovered by local Osage Indians in 1500 AD. 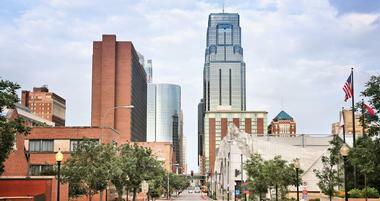 There’s no doubt that a trip to Kansas City would make a fantastic and memorable vacation. Rich in history and a dedication to preserving it, tourists in Kansan City can learn more about the First World War and pay their respects to the brave souls who fought to keep the United States free at the National World War I Museum and Memorial. The historic Union Station, in the meantime, offers a Kansas City rail experience while also featuring traveling exhibits. A key part of the city’s history, tourists can also marvel at the preserved and restored architectural relics on display at the KC Fountains. Better yet, if you love a good stage performance, catch an incredible performance at one of the three remaining self-producing outdoor theaters, the Starlight Theater. Fun tours available in the city include the Taste of Kansas City Food Tours, an exciting walking tour that takes participants along a sweet and savory journey of the city’s best restaurants, and the Harley-Davidson Factory Tour, a detailed look into the assembly process of the world-famous motorcycle brand. Museum goers can pour over 300,000 different toys at the National Museum of Toys and Miniatures, or learn about the inner workings of the Federal Reserve Bank of Kansas City at the Money Museum. Don’t forget to stop by the award-winning neoclassical architecture of the Nelson-Atkins Museum of Art to examine its impressive collection of Asian Art. Known for its pioneer history, a vacation in Omaha is sure to educate and inspire. One of the best ways to explore a city is through its cuisine and getting to know Omaha’s thriving food scene and culinary flair is exactly what the Omaha Culinary Tours offers. Breathe in the crisp, fresh breeze from the top deck of the River City Star, a stylish 1940s era boat and the only riverboat in the city, or learn about Omaha’s history on a walking tour of Old Market. Looking to take a walk on the wild side? Head to Omaha’s Henry Doorly Zoo and Aquarium to see exotic animals from around the globe, the largest indoor desert in the world and the Hubbard Orangutan Forest. An incredibly relaxing experience can be enjoyed at the Lauritzen Gardens, where visitors can admire majestic animals like elephants, deer and bears as they roam through blooming flowers, trees and lush shrubbery. The OPPD Arboretum, on the other hand, is a great place to see for those who want to expand their knowledge as it teaches about electrical safety and how to avoid these hazards when planting trees or gardens. 11,000 pieces of art and historic relics from all other the world can be viewed at the Joslyn Art Museum, while the Durham Museum offers exhibits of model trains, street cars and more while sharing stories from Omaha’s great history. Families traveling with children can teach them to explore and encourage them to participate in interactive exhibits at the Omaha Children’s Museum. More trip ideas in Nebraska. A bustling and vibrant city, Cincinnati is filled with great activities and sights to see for visitors of all ages. One of the favorite places to see in the city is the Cincinnati Zoo which has received praise and accolades for successfully breeding Californian sea lions, Malayan tigers and more. Cincinnati also has a thriving museum scene with places like the Taft Museum of Art, one of the best small museums in America and a National Historic Landmark. The Cincinnati Red’s Hall of Fame and Museum makes a fun place to visit for sports fanatics as it is an homage to the city’s baseball team and their achievements. Meanwhile, works by European masters like Botticelli, Hals and Murillo or works by Monet, Picasso and Pissarro can be viewed at the Cincinnati Art Museum. One-of-a-kind tours in the city include a heart-pounding aerial tour of Cincinnati in a Robinson R44 helicopter courtesy of Stratus Helicopters, a walking tour of a 130 year old tunnel and a paranormal activity tour both offered by the American Legacy Tours. To delve into the city’s history, visit the John A. Roebling Suspension Bridge, an iconic symbol of the city completed in 1867, Findlay Park, the city’s oldest open-air market, or Fountain Square, home to the Tyler Davidson Fountain. To end your trip on an adrenaline filled note, head to the Coney Island Amusement Park at the banks of the Ohio River for an exhilarating experience. 21c Museum Hotel Cincinnati is a romantic place to stay. The historic Inn on Crescent Lake is a quick drive from downtown Kansas City and is perfect for staycations, romantic getaways, weddings and family reunions. The 1915 Georgian Colonial mansion has 22 acres of land for guests to explore. The 10 guest rooms each have unique decorations and modern amenities along with private bathrooms. Each room also has complimentary toiletries, hair dryers, air conditioning plus heat, a CD player/radio, a flat-screen TV with cable and DVD player, and internet access. The suites have sitting areas with gorgeous views and you can also get a room with a Jacuzzi tub, a claw-foot tub, and a queen or king bed. The guestrooms at the Inn at Hermannhof combine modern luxuries with old world charm. The 28 guest rooms have been fully restored to maintain their architectural details while providing comfort. They all have European-quality linens, private baths, and a mix of reproductions and period antiques. Eight of the rooms are in the inn itself while the other 20 are in hillside cottages in the historic wine houses from the mid-1800s which have been fully restored. The inn’s luxury suites have king beds, marble baths, whirlpool tubs, steam showers, flat screen TVs, robes, irons, fridges, hair dryers, complimentary wine, fireplaces, and wireless internet. The classic guest rooms in the cottages are similar but have twin and/or queen beds and soaking tubs featuring hand-held showers. The inn has an elevator for convenience as well. During your stay, you can visit the Hermannhof Winery or visit the Winery Tasting Room. The day begins with a delicious gourmet breakfast. More Relaxing Weekend Getaways in Missouri. The 1,600-acre Shawnee Mission Park is a multi-use green space situated in Shawnee and is one of the most popular parks in the state. 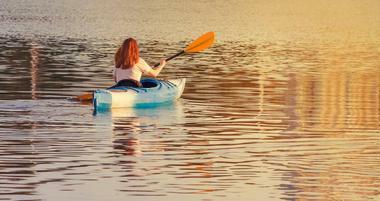 You can enjoy a good variety of water sports on the 120-acre lake, including boating, fishing, kayaking, windsurfing, and sailing; you can hire canoes, pedal boats, and fishing boats at the marina. You can go swimming at the Shawnee Mission Park Beach or go hiking and biking along plenty of scenic trails – there are also bridle paths for equestrians. Other park attractions include picnic shelters, an archery range, a large dog park, and a disc golf course. During the summer, you can watch a show at the open-air Theatre in the Park. 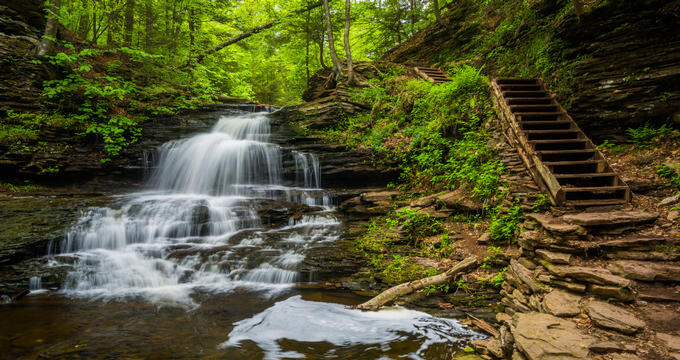 Situated just 4 miles from the town of Lawrence, the Clinton State Park offers locals and visitors a scenic and convenient recreation area. You can enjoy all the facilities on a day-visitor basis or bring your tent or RV and park it in one of 380 campsites, some of which are open all year round. If you are not so fond of camping, you can plan ahead and book one of the seven cabins. Hikers and bikers can get some exercise on the 25-mile hiking/biking trail, while those with less energy can enjoy the 1-mile nature trail. The large lake is served by the Clinton Marina, which boasts ample boat launch ramps. There are trout ponds, including a children’s fishing pond, a fish cleaning station, four playgrounds, disc golf, and archery on site. Chicago, Illinois is one of the most visited Midwest cities, home to famous museums such as the Art Institute of Chicago, Museum of Science and Industry, Wrigley Field and Millennium Park. Indianapolis is the most popular destination in Indiana, featuring Indianapolis Motor Speedway, Indianapolis Museum of Art and Children's Museum of Indianapolis which is one of the best in the country. Some of the best attractions in Iowa include the Iowa State Fair in Des Moines, Iowa Great Lakes and the Great River Road National Scenic Byway. In Kansas, visit the Kansas Cosmosphere & Space Center in Hutchinson and Sedgwick County Zoo in Wichita. Michigan features the Detroit Institute of Arts, Pictured Rocks National Lakeshore and Mackinac Island State Park. Missouri is home to famous attractions such as the St. Louis Zoo, Table Rock Lake and the Titanic Museum in Branson. Nebraska’s top attractions include Joslyn Art Museum in Omaha, Scotts Bluff National Monument in Gering and Audubon Rowe Sanctuary in Gibbon. 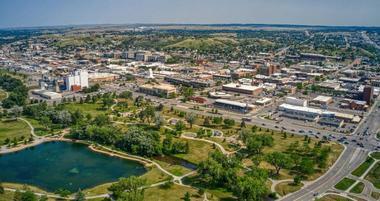 In North Dakota, must-see sights include Theodore Roosevelt National Park, Chateau de Mores State Historic Site and Fort Abraham Lincoln State Park. In Ohio, you can visit the Cleveland Museum of Art, National Museum of the U.S. Air Force and the Cedar Point Amusement Park. South Dakota is home to the world-famous Mount Rushmore National Memorial, Wind Cave National Park, Sioux Falls and Custer State Park. 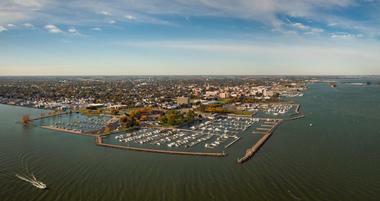 In Wisconsin, visit the Olbrich Botanical Gardens in Madison, Peninsula State Park and the Milwaukee Art Museum. Weekend getaways in the Midwest: Ohio, Indiana, Iowa, Michigan, from Chicago, from Minneapolis and Missouri.